A Limited Liability Partnership (LLP) is a business structure that offers the partners corporate protections against liability, while still allowing them the freedom and flexibility to manage the business on the basis of personal agreements between the partners. Unlike a sole proprietorship, each partner in an LLP has only some amount of liability, and is not jointly liable for the entire firm or actions of other partners. Another important difference is that the LLP is a legal entity that will continue to exist separately, even if one or more partners wish to exit. You can download a pdf copy of the full Act from the Govt. Of India Ministry of Corporate Affairs website at mca.gov.in. The duties and responsibilities of the partners defined in the agreement must comply with the Limited Liability Partnership Act, 2008. 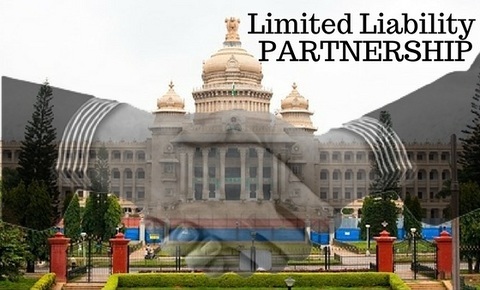 However, the Indian Partnership Act, 1932 is not applicable to LLPs. There must be at least two partners in order to register an LLP, and you can include a maximum of up to 50 partners. At least one partner must be a resident of India. You can either start a new LLP, or convert an existing partnership firm or private / unlisted public company into an LLP. Both can be done through e-filing. Let me explain how to register LLP online in India on the mca.gov.in website. Step 1 – All designated partners need a DIN (Director Identification Number) or DPIN (Designated Partner Identification Number) which you can get by filing the eform DIR-3. If you already have a DIN, it can be used as DPIN. Step 2 – All efilings done by the LLP require a digital signature of the authorised signatory. So step 2 is to apply for DSC (digital signature certificate) for all authorised signatories, and register the same with the LLP application. Step 3 – Create a new user account on Govt. Of India LLP portal. You will have to login and use this account to file eforms and pay the fees for services provided online through the website. Step 4 – Register LLP online by uploading eforms Form 1 (name reservation for LLP) and then Form 2 (incorporation document). Download forms (Form 1 and Form 2) required for LLP registration, fill them up, and keep digital copies of the completed forms ready when you want to upload. Once your efiling has been approved, you will get notification by email, and the online status of the application will change to approved. You will get Form 16 as the certificate of incorporation. Step 5 – Upload and file Form 3 with information about your LLP agreement within 30 days of the LLP incorporation, along with Partners details in Form 4. If you are converting an existing partnership firm into an LLP, all you need to do is file Form 2 along with Form 17. The latter is an application for conversion of the firm into an LLP. Existing private / unlisted public companies converting into an LLP will additionally need to file Form 18.